The division was created following the 1990 redistribution. It was named after the former Territory Member H G Nelson who campaigned for the establishment of a Northern Territory based seat in Federal Parliament. In 1922 he successfully stood for the newly created seat as an Independent. His son, J N (Jock) Nelson, was a Labor MP in the Federal Parliament from 1949 until his retirement in 1966. He served as Administrator of the Northern Territory from 1973-1975. The 2015 resdistribution saw Nelson gain Herbert from the division of Goyder. This division is in the rural area immediately to the east of Darwin and Palmerston. 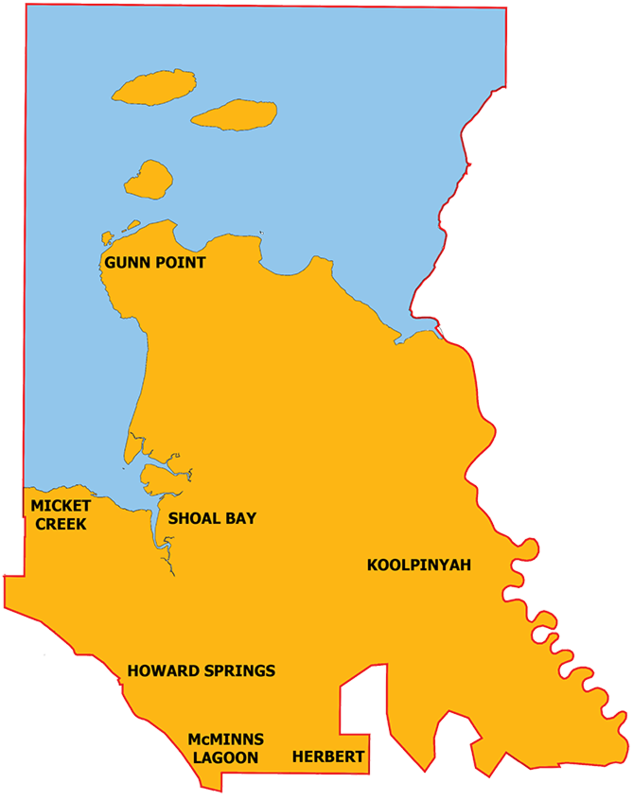 The division includes the localities of Girraween, Herbert, Holtze, Howard Springs, Knuckey Lagoon, McMinns Lagoon, Mickett Creek, Shoal Bay and Palmerston Indigenous Village.